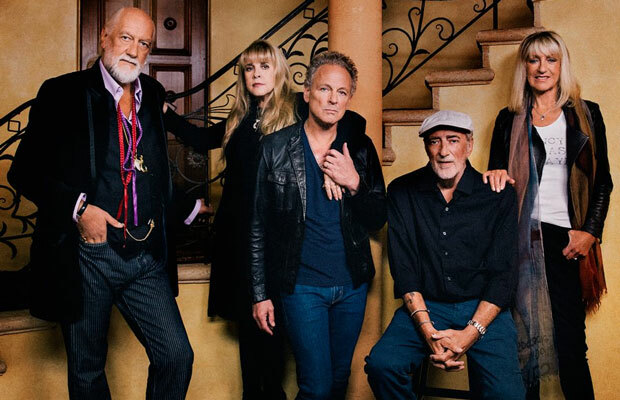 FRIDAY MARCH 20, 2015 – The rumours are true - the legendary FLEETWOOD MAC will bring their On With The Show World Tour to New Zealand in 2015. The On With The Show Tour will mark Fleetwood Mac’s first series of concert dates in New Zealand since 2009’s sold-out Unleashed Tour. Touring as a five-piece for the first time since 1998, one of music’s most enduring groups of all time, Fleetwood Mac, will play two stadium shows this November. The news of Fleetwood Mac’s return is particularly welcomed by New Zealand fans after the band were unfortunately forced to cancel their sold-out 2013 dates. Tickets for both shows go on sale at 10am on Wednesday April 1. American Express Card Members will have an opportunity to purchase tickets before the general public from midday Tuesday March 24. Visit facebook.com/AmericanExpress for complete pre-sale information. My Live Nation members can also be among the first to secure tickets during the pre-sale beginning at midday on Friday March 27. For complete details visit: www.livenation.co.nz. Fleetwood Mac has the intricacy, elegance and underlying punch of its songs… – The New York Times.